This study was aimed to explore the role of C1q/TNF-related protein 9 (CTRP9) on atherosclerotic lesion formation. A recombinant lentiviral vector carrying mouse CTRP9 (Lv-CTRP9) was injected intravenously into apolipoprotein E knockout (ApoE−/−) mice given a high-fat diet (HFD). CTRP9 overexpression substantially attenuated atherosclerotic lesion size of mice. The accumulation of macrophages and smooth muscle cells (SMCs) was significantly decreased in atherosclerotic regions with CTRP9 overexpression by immunohistochemical analysis. 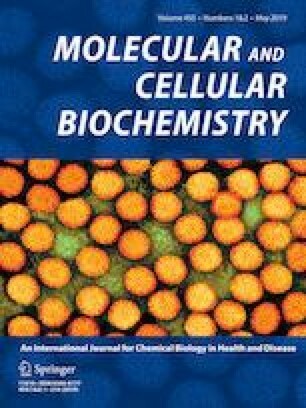 In addition, CTRP9 downregulated the expressions of monocyte chemoattractant protein-1 (MCP-1) and tumor necrosis factor-alpha (TNF-α), two main proinflammatory cytokines in atherosclerosis. Furthermore, the autophagy level remarkably increased which was presented by microtubule-associated protein light chain 3B (LC3B) conversion and sequestosome 1 (SQSTM1/p62) degradation. Further study showed that CTRP9 increased adenosine monophosphate-activated protein kinase (AMPK) phosphorylation and decreased mammalian target of rapamycin (mTOR) phosphorylation in vivo. These observations reveal that CTRP9 exerts a protecting role in early atherosclerotic lesions and its anti-atherosclerotic effect is associated with autophagy induction through AMPK/mTOR signaling pathway. This work was supported by the National Natural Science Foundation of China (Grant No. 81671950) and Department of Science and Technology of Shandong Province (2014GSF118020).